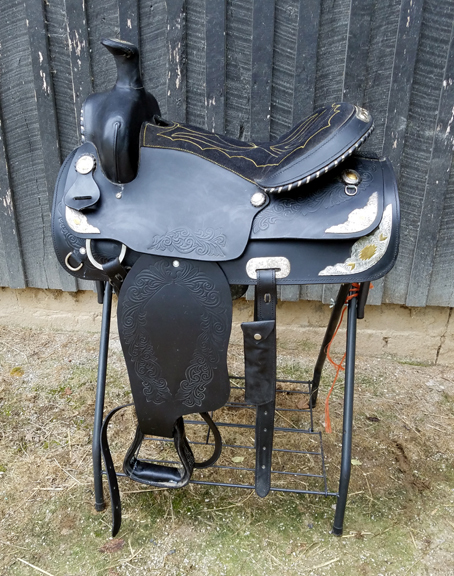 Black 16 inch saddle. This is a great started set. It comes with a breastcollar, bridle and rear cinch rigging. Padded suede seat with tooling. Tons of flash with the black leather accented by the gold and silver plates. Even the bridle and breastcollar are decked out in flash. This is a semi QH tree, so will fit the average horse. New, never used.